Based on a 1972 play by Lucille Fletcher (known to suspense fans as the woman who wrote the much-adapted radio plays Sorry, Wrong Number and The Hitch-Hiker), Night Watch is an admirably nasty 1973 English film shocker starring Elizabeth Taylor and Laurence Harvey. Taylor plays Ellen Wheeler, a wealthy matron living in London with her second husband, John (Laurence Harvey). Life is rather dull for Mrs. Wheeler, seemingly consisting mainly of buying flowers, doing jigsaw puzzles, smoking cigarettes and making insomniac late-night wanderings over her stylish house, gazing moodily through the great windows at that creepy unoccupied mansion next door with the menacing, constantly banging shutter. Ellen wants to go away to the Mediterranean with John, but he's more interested in his vague job in finance and his after dinner drinks. Then there's her visiting old friend, Sarah (Billie Whitelaw), who is between jobs and onto a new (married) boyfriend. Oh and that odd garden-loving neighbor, Mr. Appleby (Robert Lang), whose father used to own Ellen's house, but is now reduced to a basement flat. Just what horror goes on in that house next door? 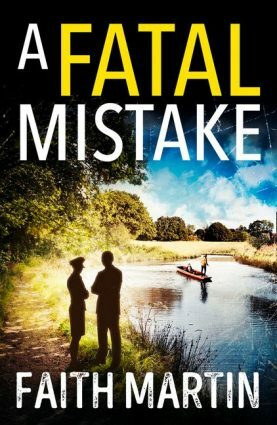 Ellen still has nightmares about the death of her first husband, Carl, who was speeding down a country road at eighty miles an hour with some tart all over him, when he went off the road, killing himself and said tart. Ellen had to go to the hospital to identify her husband, something she relives in her nightmares. These nightmare sequences are some of the scariest parts of the film, being shot with jarring imagery that reminded me very much of a modern horror flick (see the last image in this piece, below). Nightmares become real when late one night Ellen sees a dead body, bleeding copiously from a slashed neck and propped up in a wing chair, through the banging shutter of the house next door. At least that's what she tells people, but of course no one believes her--not John, not Sarah, nor the skeptical Inspector Walker (Bill Dean), who is called in to investigate. What's going on here? Was there really a body? Is someone trying to drive Ellen mad? Okay, if you haven't seen this film before, you're probably thinking this all sound pretty cliched. But Lucille Fletcher by this time was a very old hand at this sort of thing and she definitely has some new tricks up her sleeve. For suspense fans Night Watch is a tremendously enjoyable film, the sort where the reviewer wants to discuss the ending, but is honor-bound from doing so (be careful when you read internet reviews though). Part of the fun as well is going back forty years to the early seventies. There's Liz's flowing caftans, big jewelry and bigger hairdos, Laurence's turtlenecks and paisley ties, the men's ginormous sideburns (they start out huge with Laurence Harvey and only get bigger), and even, I swear to God, an ascot! There's even a faux Tiffany light shade hanging over the dining nook (you can see it on the far left in the second image, where Liz is screaming her head off) that took me right back to the house I grew up in the 1970s (I wonder if that shade is still there). Could Ellen be going mad? How did I miss this film back in the 1970s? I was just seven when it came out, too young for this sort of thing at the theater, but I'm surprised I never saw it on seventies television. I loved these kinds of films back then (about my scariest film memory ever is watching "Bobby" back in 1977). 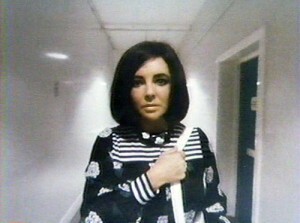 Elizabeth Taylor is great in this role, though I understand that it was the only Gothic she ever did. 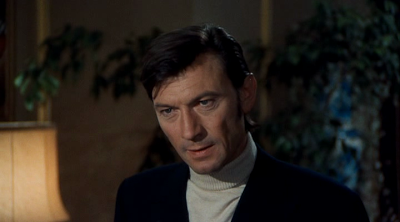 Laurence Harvey, who was terminally ill at the time (he died only a few months after the film opened), is quite good too, though it's Liz's show. The first thing I ever saw Laurence Harvey in was a late seventies rerun of "The Caterpillar," a famous Night Gallery horror story (Harvey did this the year before Night Watch). He also played the sardonic title character in the blackly humorous "Arthur," an episode of Alfred Hitchcock Presents. He starred as well in The Running Man, based on the Shelley Smith suspense novel, and, of course, the great espionage suspense film The Manchurian Candidate. He's very good in these sorts of roles, where you're never quite sure whether he's redeemable or just flat-out wicked. Is Laurence Harvey up to something again? Billie Whitelaw became famous to American audiences a few years later as the sinister Mrs. Baylock in The Omen. The year before Night Watch she co-starred in Alfred Hitchcock's penultimate film, Frenzy. More recently, she had a memorable role in Hot Fuzz, a brilliant little send-up of police action films. The late Robert Lang, who plays Mr. Appleby, also was a noted English character actor. Bill Dean as the scoffing British police inspector does a good job too. The DVD has a good print of the film, in which throughout, by the way, there is an adroit use of classical music (also the obligatory late sixties/early seventies spinnet). All in all, this is a superior domestic suspense film, better than I expected it to be, and warmly recommended to those looking for a good seventies scare. I saw this at least once but I dont' rembmer much of it. I do remember that I read the playscript first (I was in high shcool at the time) because it was very difficult to find the movie on video back in the VCR days. I don't ever recall seeing it on TV. I'm not sure it ever was on. Todd Mason can prove me right or wrong with his access to TV Guide archives. Now that I know there's a DVD version I'll have to hunt it down and re-watch it. Strangely, I remember parts of the play I read more than the movie. Easily the most impressive thing was the stage set which had huge floor to ceiling windows upstage center as the focal point, for obvious reasons. I think it would have been exciting to see a voyeuristic thriller like this on stage. Even more of a feeling of complicity than in watching a similar voyeuristic movie. You remind me, another obvious influence on this film (and the play), Rear Window, should have mentioned that specifically. I understand the play adds additional characters as suspects and that the film is more streamlined. It still has some great twists at the end though. I'm french(I'm bad in english,sorry for the comprehension :/). I looking for the DvD of this movie with Elizabeth Taylor, but i can't find it on the internet...Could you give me a internet adress where I could buy this DvD (in French language)? I find one DvD but the language was in Spanish. I want to watch this film!